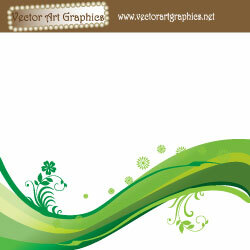 Download the Free Green Abstract Vector Art. Pretty green floral patterns with a green wave. Works great as a background or wallpaper for your website.